So you've got a budding Nigel Mansel or Lewis Hamilton in your mist? 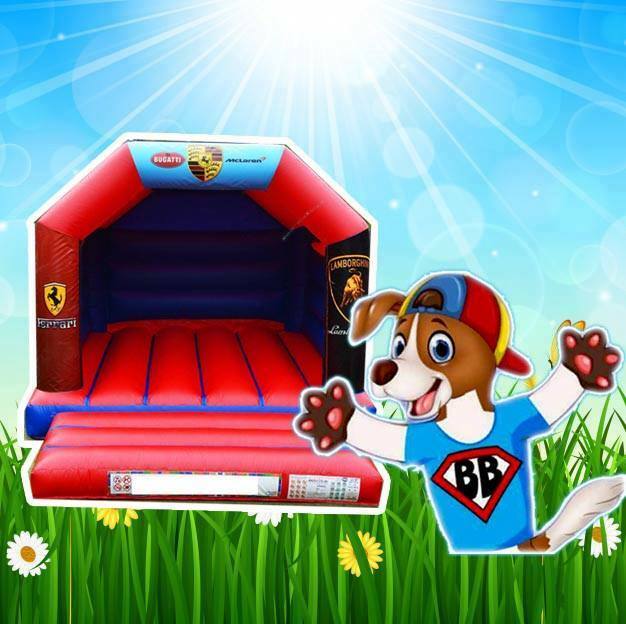 Then the Super cars Bouncy Castle will be just the ticket for their special celebration. Available in 2 sizes and with plenty of bounce appeal the Super Cars Castle is a perfect back garden hire inflatable.